Our company was founded in 2009 by James and Jacqueline Shearer and SinuSoothe was launched to the general public. Both James and Jacqueline suffered terribly for years with chronic sinusitis and had to endure the daily misery of sinus headaches, sinus pain, sinus pressure and fatigue etc. Jacqueline had a chronic sinus infection for over twenty years. They had tried all manner of prescribed, over the counter, natural and alternative medicine but without success. They had been to see countless doctors and ENT specialists but no one could help them, they had reached a dead end. James had always been inventive and through his creative abilities, scientific background and determination, with the help of his wife, he developed an early version of SinuSoothe. They both used it and low and behold, it worked. Not only did it relieve their symptoms but within a couple of weeks they got rid of their sinus infections for good. Word soon spread to family and friends and they began using it for their sinus allergies, colds etc. It was proving a huge hit. James and Jacqueline knew their product was a godsend and rather than keep it to themselves they decided to develop it further, set up a business and market it to help others. They set up a research and development team and through conducting human trials, carrying out extensive research and the procurement and analysis of substantial amounts of clinical and scientific data , they developed the unique formula that is currently being sold. Once their formula was perfected they set up our company and started marketing SinuSoothe to the general public. We now have a knowledgeable, dedicated and caring team of people working within our organisation. In fact SinuSoothe is not so much an organisation but one large family and this philosophy is carried through to the way we treat and respect our customers. Rachel Scott Ph.D. , Julia Cooper Davidson and Helen Miller have published many articles on sinus related subjects and have given advice to thousands upon thousands of people. SinuSoothe is being sold all over the world and doctors are recommending and prescribing it to their patients. Through word of mouth and the internet, the demand for SinuSoothe has been unbelievable and it has already helped thousands of people with sinus issues. This is all quite remarkable considering it has only been on the market for a short period of time. Our ultimate dream is to improve the quality of life of every person who suffers from a sinus condition. Although a mammoth task, we will NEVER stop in the pursuit of this. Our philosophy is that every time we get positive feedback that SinuSoothe has helped someone, we move one step closer to achieving our dream. 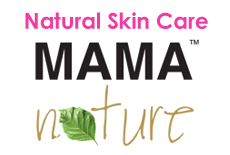 Please feel free to visit our other natural brands below where you will find more great natural products.